In today’s slow moving economy, every company needs to have a business plan designed to keep them moving forward in order to keep up with the competition. This can be accomplished with a little strategic planning and taking the time to design business plans that promote export growth. Firms need to strategically project their plans into the future and plan to be doing business internationally for the long term. Companies that have set plans to increase exports actually succeed far more than businesses who do not export at all. When companies succeed with exports, not only does the business grow, it also stimulates the economy and surrounding business. While it can be very difficult to gauge how well doing business in another market may be, when the projection is accurate the firm can experience faster growth than companies that only operate in domestic established markets. Because of this difficulty in prediction, many firms are less likely to engage in exporting when they have no idea how profitable it might be. By creating a well-researched business plan, established companies may be more apt to work through the barriers to exporting than to be dismayed when they are presented with them while conducting their business. There are many positive effects to companies marketing internationally. One of those effects is that those firms who do are more likely to engage in research and development in regards to their products. This can occur because products may need to be customised to fit other countries standards or there may be regulations to meet. This helps expand the knowledge base of the firm and may lead to improvements in the business and its products. As a type of spill over effect, this knowledge may be shared within the business community and benefit the industry as a whole. Firms that export as part of their strategic planning can also have a positive effect on those companies that do not yet export. When exporting businesses share information with these firms they can actually teach them very important information in regards to exporting. This may encourage non-exporting companies to consider exporting as part of their business plan too. 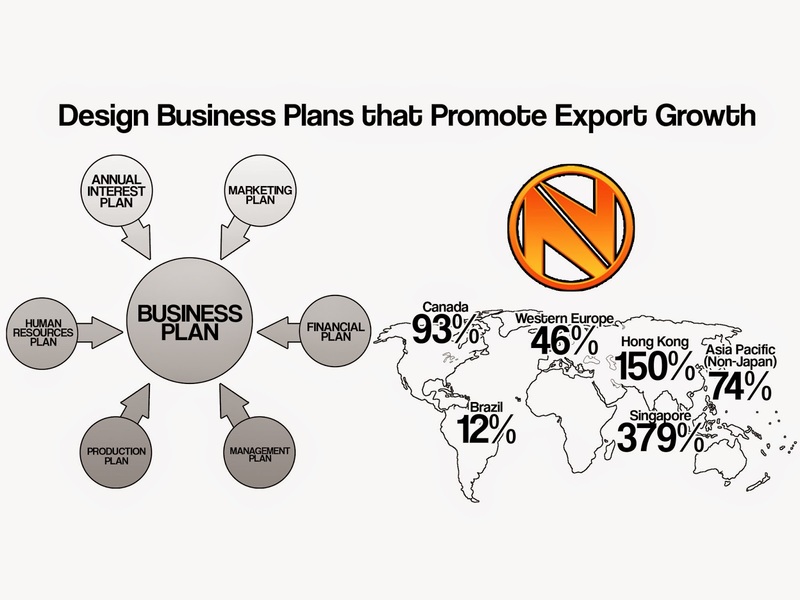 This can lead new firms to design business plans that promote export growth for themselves. As each new firm works its way into the exporting of their goods and manoeuvres the current barriers, it paves the way for the next generation of exporters. If your firm has not yet contemplated exporting internationally, perhaps the reason may simply be that it has never been researched enough to be considered. There are places that companies can turn to for assistance with learning more about export and international trade. Trade promotion agencies can help any firm with strategic planning in regards to exporting. Before ruling it out, arrange a consult with one of staff in regards to exporting and find out if it might be right for your business. I have been contemplating on this exact topic of export and international trade for some time now, and it seems to be becoming more of a popular thing now a days. Definitely going to have to take a look and see what my options are.